that falls from what's lost? 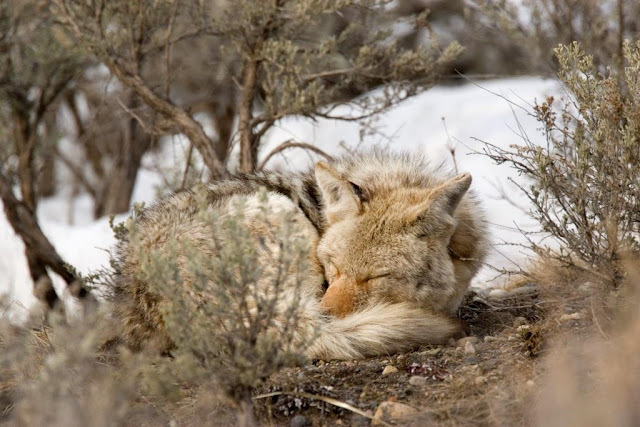 The sleeping coyote in the den? The window shade half exhaled? The awning where ice melts? on the tip of one branch stops. that knits all to earth's center. in the fresh hold of the forgiving sky.